Rite Aid sells Foster Grant Kid sunglasses for $5.99. Plus this month there is a Rite Aid Values coupon for $5 off any Foster Grant Sun Glasses available. If getting them for $0.99 each after Rite Aid Values coupon was not enough for you, there is also Single Check Rebate #7 you get $2 back when you buy one pair of Foster Grant Sunglasses (limit 2). That’s better than free! 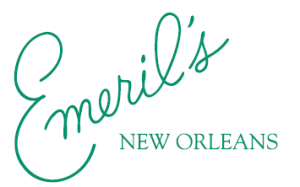 Emeril is celebrating 20 years of being in the restaurant business. He is offering a free cookbook download. (PDF file will begin to download when you click link) Enjoy! Teacher appreciation week is this week! Bring your child to Lowe's from 10 to 11 AM and they can make this cool School House. Click here to register. Bank of America: Museums on Us Program! Free Entry to over 100 Museums this Weekend! I just heard about this awesome promotion! Bank of America is providing free admission for card holders to museums nationwide on the first full weekend of every month. This could have saved us $30.00 at the Long Island Children's Museum last month! This seems like a great deal! Click here for more info and to find participating museums! Vista print is offering 30 free wedding save the date cards. Just pay shipping. 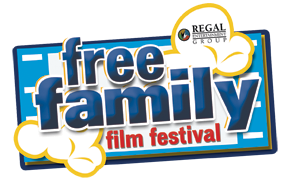 There will be THREE coupon inserts in Sunday’s paper: 1 Smart Source, 1 Red Plum, and 1 Proctor and Gamble! Start planning your shopping early by checking out the full preview HERE! I have to say that the Free Okios was great and I hope to see more Mambo Sprouts Coupon booklets at ShopRite in the future!!! Yankee Candle is having a Buy One Get ONe 50% off sale on their Large Candles, and you can combine this deal with coupon code CRM004J to take $15 off a $35 purchase. You could also use code XFOO4Z3 to take $10 off a $25 purchase. Shop the Yankee Candle website HERE. 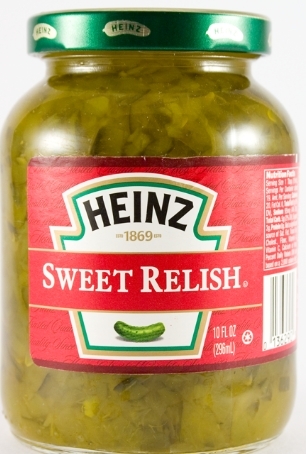 Last Chance to for this Months Prinatbles at Coupons .com, Red Plum, and Smart Source! There are lots of great coupons available on these three sites that will disappear tomorrow night! Be sure that you have printed all of your favorites! Go here to print these. 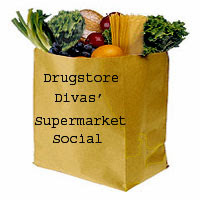 Don’t miss the $2 Dove, $2/3 Glade Relaxing Moments, and more! Don’t miss the $1 Fisher, $1/2 Lenders and more! Don’t miss the various L’Oreal coupons and more! 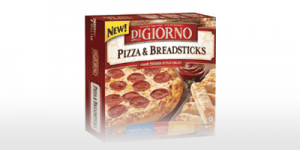 $3/1 DiGiorno Pizza & Bread Sticks coupon still avalible! Save $3 off one package of Digiorno Pizza & Breadsticks. Here are the deals and coupon match ups for Big Y Supermarkets from 4/28 to 5/3 . Please be aware that prices vary by store, and coupon values vary by region, so the list below may not be 100% accurate depending on your location. All coupon values are doubled up to $.99 based on my store's policies! Here are the deals and coupon match ups for Better Valu Food Markets from 4/25 to 5/1. Please be aware that prices vary by store, and coupon values vary by region, so the list below may not be 100% accurate depending on your location. Vistaprint is offering 140 customizable address labels for free! Click here for more info! Get a free vase or chocolates with purchase of gifts starting at $19.99. Click here for free vase or here for chocolates! Walmart.com: Get the Nintendo DS Lite for $83.54 after gift card! Walmart currently has the Nintendo DS Lite for just $113.54 plus you get a $30 gift card! You can also select site to store for free shipping. So get it now for only $83.54! Target is offering the Olay Quench Set for $4.99 and it ships free. The gift set includes the following items: Body Wash, Razor, Body Lotion, Body Bar. This one will probably go fast, so head over and scoop one up! This will make a great Mother's Day gift! *Note- you should be fine using 2 Target Coupons in this transaction. This particular coupon states one per coupon, NOT transaction. The ad lists HP 21/22 for $31.49, but says Any HP Combo Pack- so it should be good on all models and price points of HP Combo Packs. = $5.97 for 3 boxes of crackers and a package of cookies. If your store allows you to use a coupon on the FREE item it will be another $1 off your total with the $1/1 Oreo Coupon. =$18.99 for all 5 products after coupons, and mail in rebate. =$3.99 each after both coupons. LOTS of Hulk Kids Spinbrush Pro Toothbrush (seems like Hulk Only) 50% Off down to $2.48. Here are the deals and coupon match ups for Rite Aid from 4/25 to 5/1. Please be aware that prices vary by store, and coupon values vary by region, so the list below may not be 100% accurate depending on your location. final = $1.47, get $5 SCR = better than FREE!! better than FREE after coupon & SCR for toothbrushes or 2/$1 for Listerine! 3/$2.50 = $0.83 each after coupons & SCR! final = 3/$2.99 = $1 each! final = $1.47, get $5 Aveeno SCR, $3 Reach SCR, $3 Dove SCR = $9.53 moneymaker! 20 pack of Duracell batteries, $9.99, with $9.99 back in Staples rewards = FREE after rewards. 500 sheet ream Hammermill copy paper, $6.49, with $5.49 back in Staples rewards = $1.00 after rewards. Both of these are limit 2 per customer. How do Staples Rewards work? You get them back any month when your balance reaches $10 — so if you buy these items now, next month you’ll get the $ back to spend on more stuff at Staples. $2.00/1 Lea & Perrins Worcestershire sauce. $2.00/1 Dove ultimate or clinical deodorant. $1.00/1 Aveeno daily moisturizing lotion. $1.50/1 Sun Rype FruitSource mini bites. $.75/2 pillsbury or grands sweet rolls. $1.00/1 Genesis today superfruit juice. $4.00/1 Organix or Natural ultramix cat food at Petco. B3G1 organix or natural ultramix cat food cans at Petco. $2.00/1 Ace braces or supports $9.99+. $.55/1 Nature’s Source natural laundry stain remover. $.50/1 Genesis Today dark chocolate superfruit pudding. There will be a new Walgreens Coupon Booklet out tomorrow 4/25. You can combine these coupons with manufacturer coupons for additional savings. 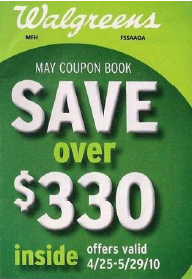 The coupons in this booklet are valid 4/25 through 5/29. Here's a preview of what's inside! If you are a Dollar General shopper you will be happy to know that they are now accepting internet coupons. So you can make adjustments to your shopping trips. Do you shop at Dollar General? It’s spring time! Bring your child to Lowe’s and they can build an awesome Bird Feeder!